Carter’s Children Clothing 50% Off! Need new clothing for your little ones? 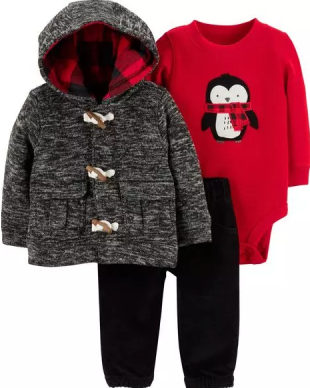 Carter’s US is offering 50% off childrens clothing and you get an additional 20% off, if you spend over US$40! Shop cute 3-piece sets for only US$12.8 each! So every single item of the set is only around US$4!